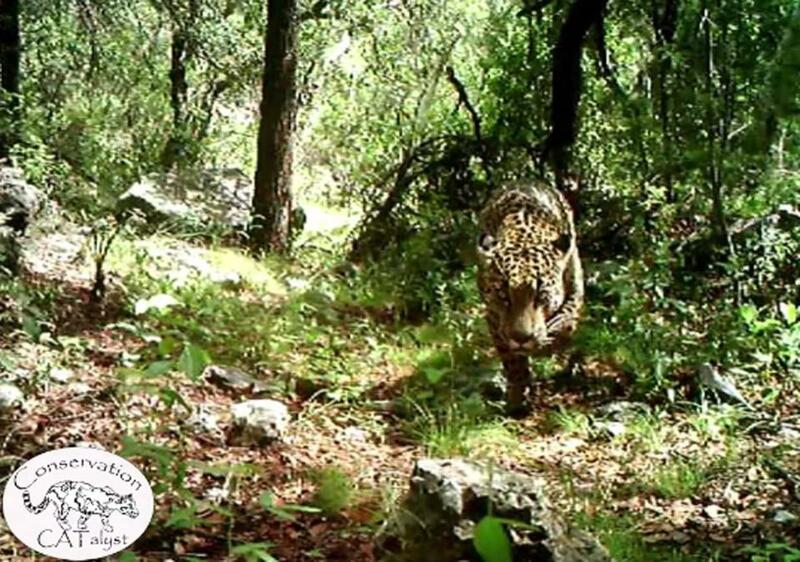 TUCSON, Ariz. (AP) — The first publicly released video of the only known wild jaguar in the United States shows the giant cat roaming around a creek and other parts of a mountain range in southern Arizona. El Jefe — Spanish for ‘‘the boss’’ — has been living in the Santa Rita Mountains, about 25 miles south of downtown Tucson, for over three years. Conservationists tracking the jaguar released a short video Wednesday showing him walking around mountain terrain. El Jefe is the only verified jaguar in the U.S. since another animal, named Macho B, was euthanized after getting injured in March 2009. The Center for Biological Diversity says El Jefe’s habitat is threatened by a proposed open pit mine that has been in the works for many years.